Today I shall roam; To find me a poem; I shall share it with you when I make it back home. …to clean up mouse poop. …but not my right toe. Note: The middle clover has six leaves. 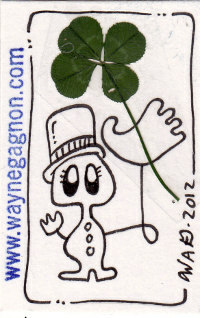 Note: The clover held by the cat has a fifth leaf. Note: In commoration of Munch’s Scream being sold for a record $119,922,500.